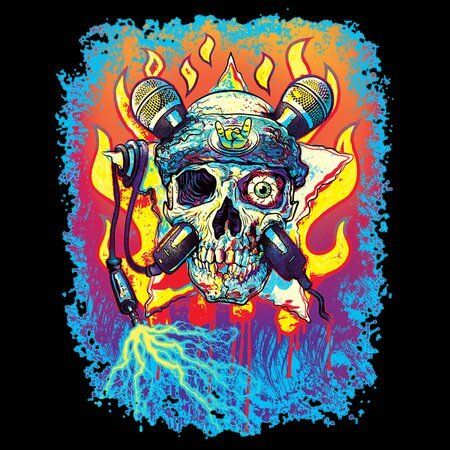 Old School Rock 'n' Roll Skull with electrifying Microphones for Crossbones. 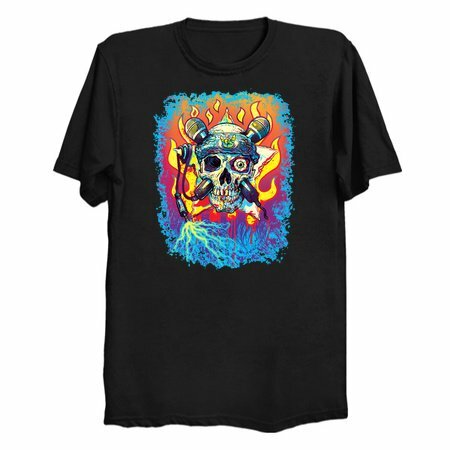 Had fun with saturated color combinations to make this Rock Star design pop on a variety of Rockin' t-shirt colors. Skull's bandanna features Sign of the Horns.